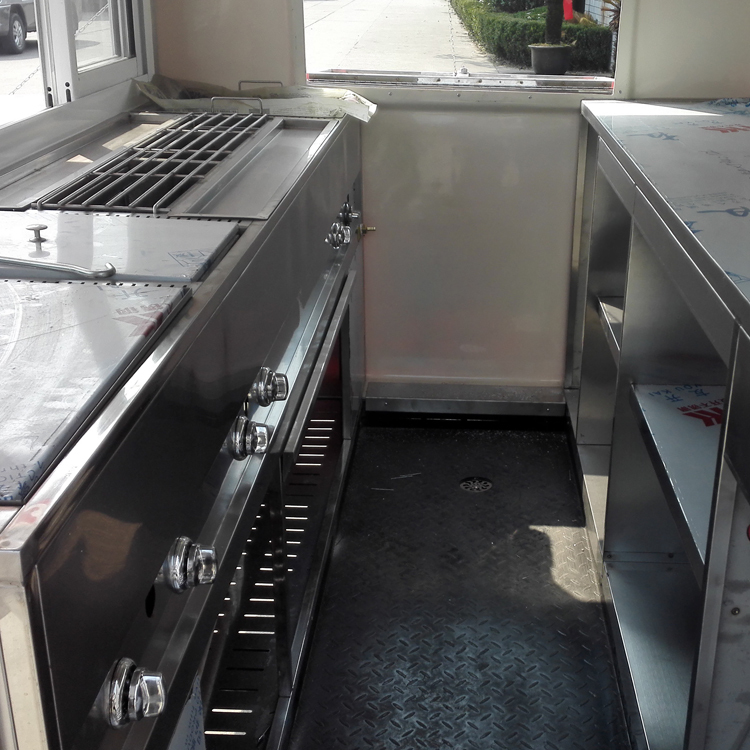 We have professional technicians to design the food trailer to meet your every need. 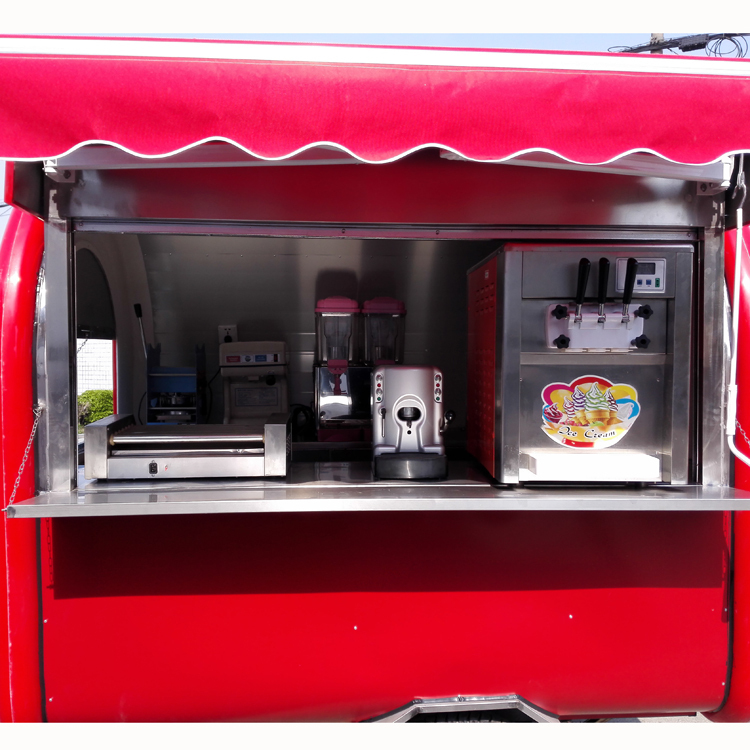 Use the food trailer as Noshery you can make and sell fast food, hot dogs, ice creams, yogurt, ic cream rolls, donuts, churros, popcorns, sweetcorn, twist potato, fresh juice, snow ice, tea coffee etc. Use the food trailer as Shop which you can sell anything. Phone booth which you can sell phone cards, phones, toys, etc. Use the food trailer as Information Desk which you can help everyone. Use the food trailer as Book shops you can sell newspapers, magazines, Empty cart which do it by yourself. 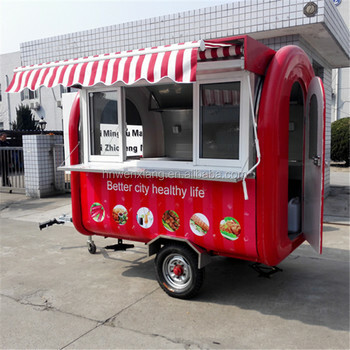 Use the food trailer as Grocery store that you can sell vegetable, fruits, biscuit, etc. 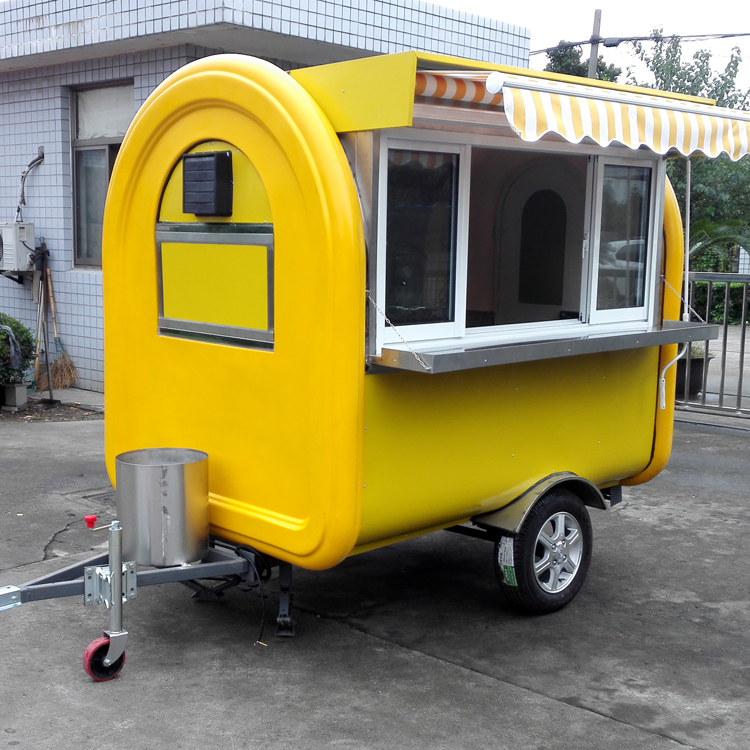 We can manufacture the food trailer as your request. 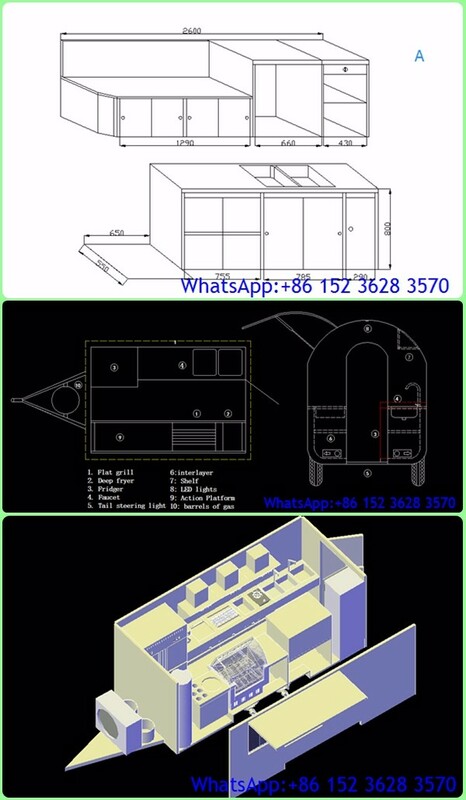 All the food trailer is CE Certificate approved and of good quality. Tractor towable drawbar with safety ball headed coupling. One tank for gas cylinder on it. Heavy-duty water system plumbing with automatic water pump, Two stainless steel sinks with tap, one freshwater tank and one wastewater tank. 12v auto-water pump ,on/off control switch. White, Black, Dark Blue, Red, Pink, Orange, Green, Yellow, Light Blue, Purple, etc. 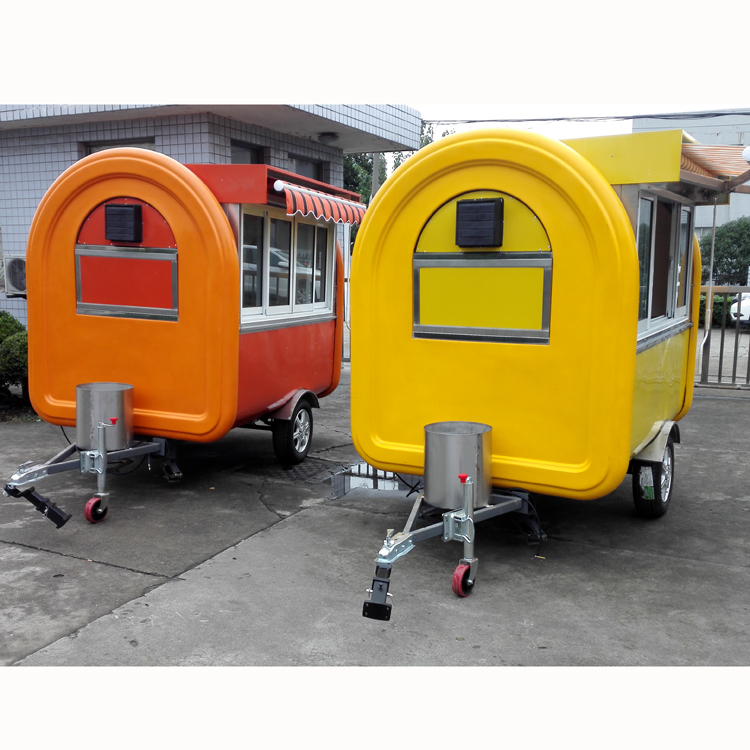 Here are some food trailers we made for other customers for your reference! More questions, pls feel free to contact me! Scan the QR Code to save Contact quickly!